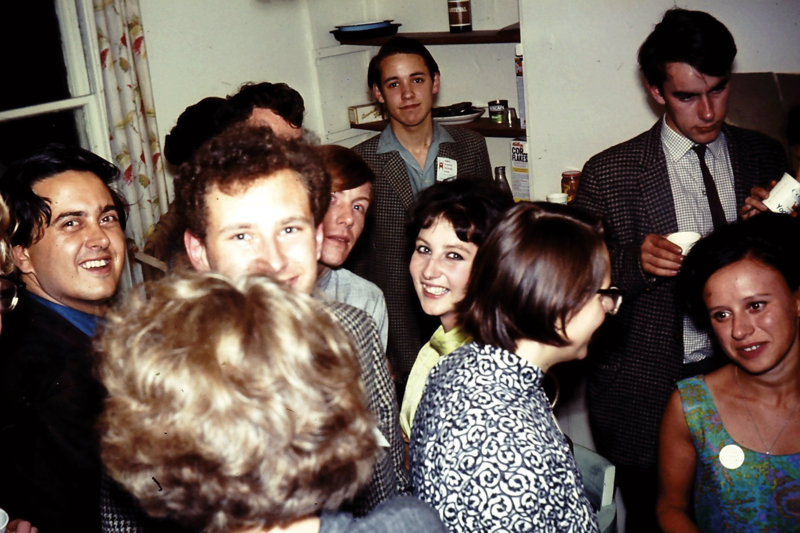 On 20 July 1966 an OUHG reunion party was held at 63 Kingston Road – the digs of the current Organising Secretary, Howard Rye. If you can identify anyone not named in the captions, look at the names here and please get in touch! By wall, from bottom: David Hume, Tony Lambert, Stephen Hayes, Josephine Newcombe, Bob Leach, Clive Jones, [two shadowy figures at top of stairs awaiting identification]. 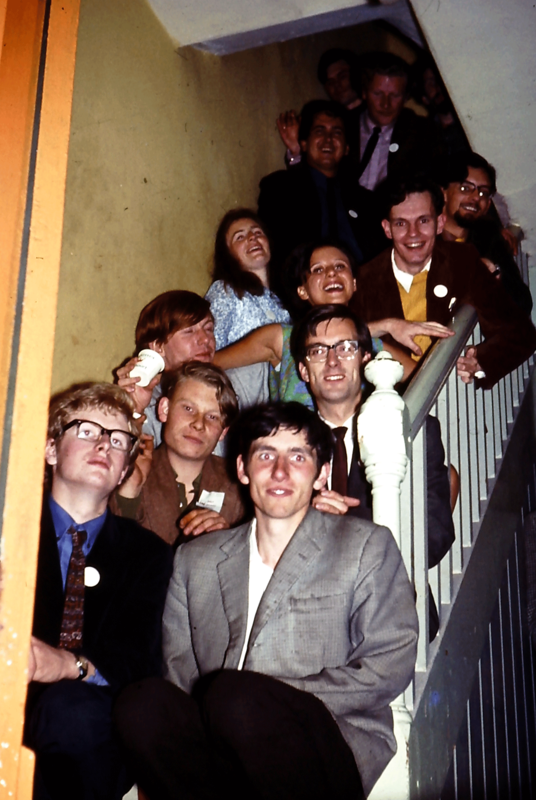 By banisters, from bottom: Geoff Wyvill, Tony Brierley, Wendy Kaplan, Connaire Kensit, David Pollock. 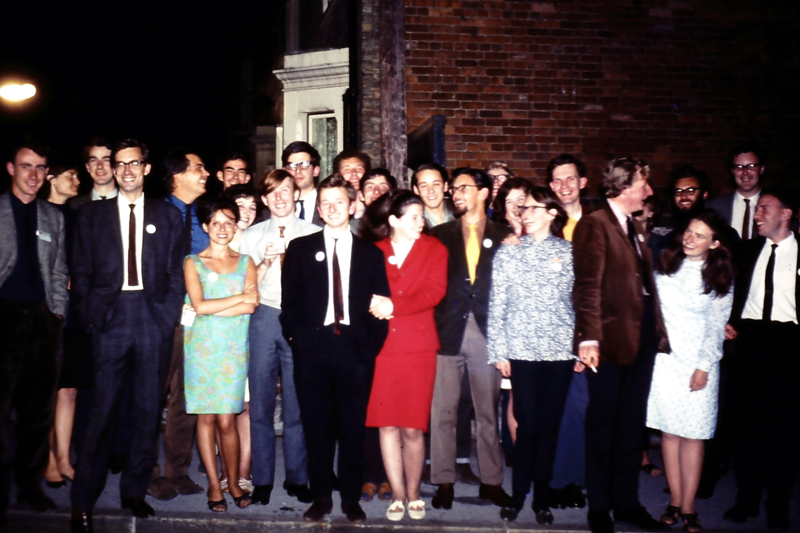 L to R: ?, ?, ?, Tony Brierley, Bob Leach, Wendy Kaplan, ?, Janet Mitchell, Stephen Hayes, ?, ?, Howard Rye, Geoff Wyvill, ?, Richard Hudson, David Pollock, David Hume, ?, Ruth Cowan, Connaire Kensit, Clive Jones, ?, Josephine Newcombe, ?, Leonard Evans. L to R: Bob Leach, Howard Rye, Stephen Hayes, Richard Hudson, Janet Mitchell, Ruth Cowan, ?, Wendy Kaplan. 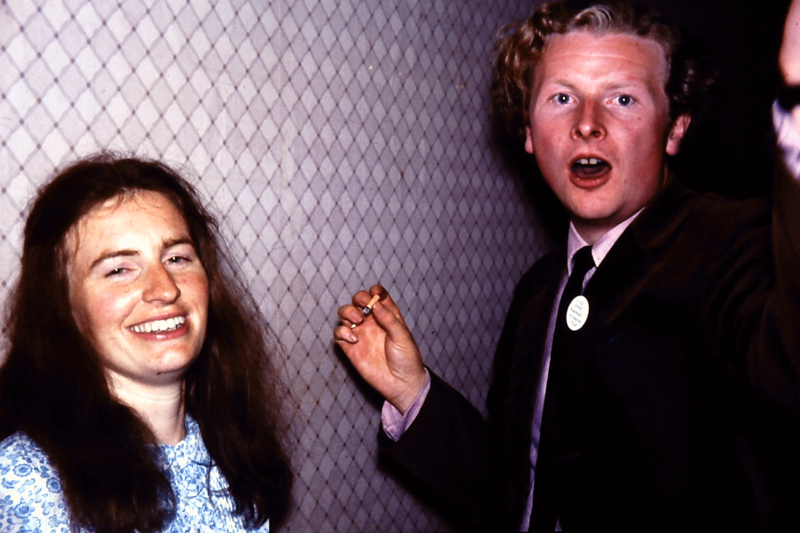 Josephine Newcombe and Clive Jones. 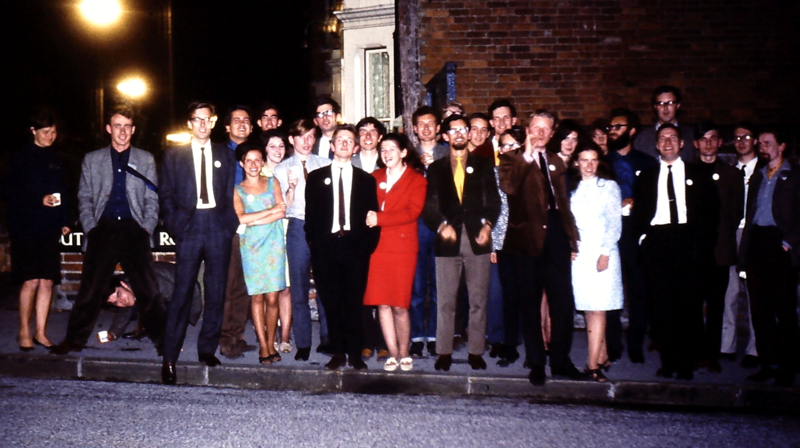 David Batchelor, Judy Evans, Fred Holroyd, Richard Hudson, David Hume, Ifan Lloyd, Simon Mattam, Marian Stamp. This entry was posted in 1965/66 by dpollock. Bookmark the permalink.